I’d Rather go Online Than Use an Agent… Unless I Want Results! When Owen Cartier began flat-hunting, he thought he could do it all via the internet. But as he told Tim Harrison, he soon changed his tune. Having completed his MBA at Columbia University in the upper West side of New York, Owen Cartier flew into London to resume his job with a major international consultancy firm. He’d been away from the capital for a year but finding a flat to rent would surely be a piece of cake. Simply go online, click on the price band, choose the perfect pad, arrange a quick visit with girlfriend Andrea, then pick up the keys. ‘Like anyone looking for a flat in London these days, I went online straight away’, the 28 year old told MoveTo. Sorted? Er. No. ‘The draw a search bit is fine but the trouble is, when you actually look at any flat, the pictures are hopeless. Pictures of flats just seem to show the sink and cupboards in a brightly lit kitchen …and that’s it. It was the same with Zoopla’s SmartMaps. So Owen did something drastic. ‘The only time things really got moving, and I didn’t think I’d ever hear myself saying this, was when I called in an estate agent. I really thought I could do it all online but you can’t. Having initially toyed with Fulham, Owen widened his search to include South Ken and Notting Hill. The first agent he tried was bubbling over with enthusiasm. ‘Have I got the property for you!’, he gushed. Owen pointed out that he hadn’t actually told him what he was looking for. ‘Anyway Oliver, how’s tricks?’, the agent continued. ‘It’s Owen.’ Said Owen wearily. Insisting he wanted somewhere near the tube, Owen hesitated about getting into the agent’s car to drive to a ‘nearby’ flat to take a look. 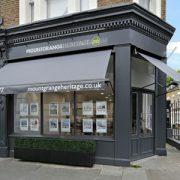 Owen eventually located the ideal one-bed flat just a short stroll from Notting Hill Gate tube, via Mountgrange Heritage. 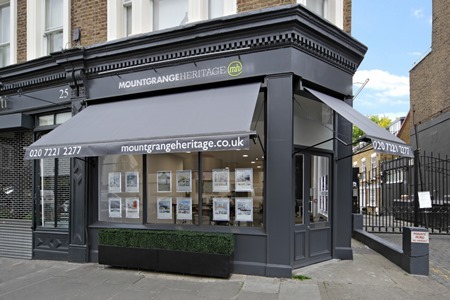 Owen and Andrea are now happily settled in their flat and are full of praise for the service, professionalism and star quality of Amanda Man at Mountgrange Heritage. But it’s taught them a few lessons. Number one. Relying on the internet might be a starting point but it isn’t the complete answer. Information is patchy, often out of date and sometimes downright misleading. Number two. The right agent with get results…and the right agent is not necessarily the overpowering Ali G type. Number three. It’s all about trust and local knowledge. ‘You quickly get to know who knows their area and who’s bluffing.’ Said Owen. Maybe, in this internet age, there’s still hope for real people. https://www.mountgrangeheritage.co.uk/wp-content/uploads/2016/10/IMG_5581_1_edited.jpg 300 450 admin https://www.mountgrangeheritage.co.uk/wp-content/uploads/2018/05/mountgrange-heritage-logo.png admin2013-01-28 18:24:232017-01-25 23:04:54I’d Rather go Online Than Use an Agent… Unless I Want Results!